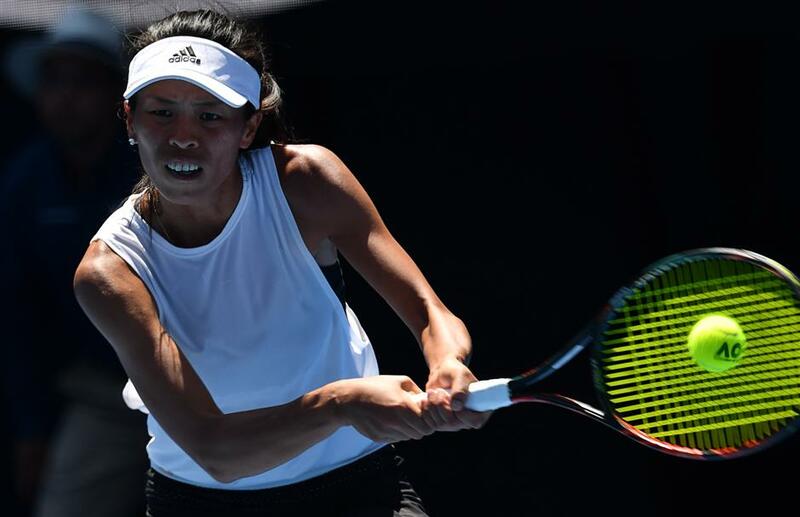 Hsieh Su-wei has no plans of changing her "freestyle" way of playing after driving former champion Angelique Kerber "crazy" at the Australian Open. Chinese Taipei's Hsieh Su-wei hits a return against Germany's Angelique Kerber during their women's singles fourth round match at the Australian Open in Melbourne on Monday. Hsieh Su-wei was happy to hear she had driven former champion Angelique Kerber “crazy” on Monday, saying she had no plans to change her freestyling ways. The former doubles world No. 1 from Chinese Taipei opened her box of tricks and almost cast a spell over the German two-time grand slam winner. But Kerber eventually reached the quarter-finals 4-6, 7-5, 6-2 in just over 2 hours of riveting action. An enthralled Rod Laver Arena crowd were treated to Hsieh’s full repertoire of drop shots, slow-paced winners and high looping ‘moon balls’ as time and again she found incredible angles to mesmerize Kerber. “I’m driving her crazy?” Hsieh said, when told by media she had been driving Kerber "crazy a little bit." If Hsieh had a game plan, it worked a dream in the opening set which she won behind a dazzling array of unpredictable shot-making. But the likeable Hsieh revealed she had forgotten to do her homework on Kerber and was making up her strategy as she went along. Plan or not, she forced Kerber to the brink in the second set as the German served at 4-5, 0-15. Hsieh was three points away from a first ever slam quarterfinal in her 28th main draw appearance stretching back to the 2005 US Open. Kerber held and broke for the crucial advantage and held to love to level the match before easing to victory.